Ah, fair Italy, such a gorgeous country. 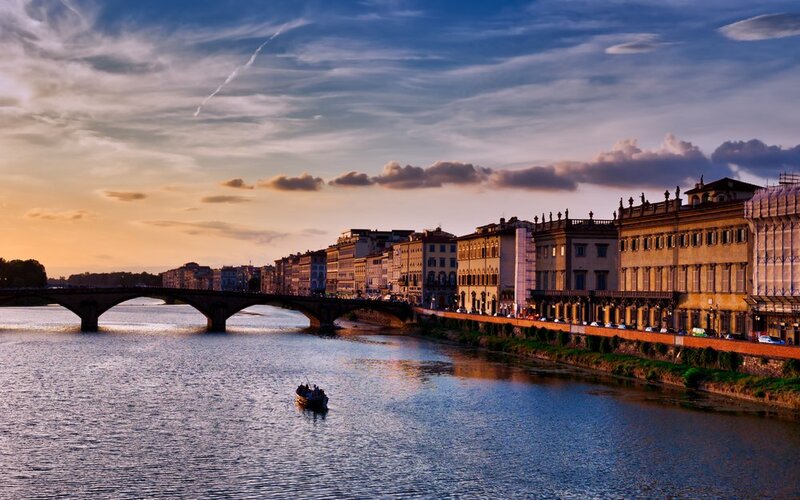 This was a sunset in Florence looking over the River Arno. I just stood on one of the bridges and waited for that boat to get into the right spot. Easy!